VL Coin asset is India’s upcoming fast growing crypto assets, a disruptive decentralized blockchain solution for transparent fund management for NGO/Foundation and Government organizations. VL Coin asset is a peer-to-peer virtual coin circulation that would facilitate instant, marginal cost payments to anyone anywhere in the world. VL Coin is an open source, comprehensive payment network that is fully decentralized without any central authorities. Mathematical algorithm enhances the network security and authorizes the individuals to organize their own finances. VL Coin asset has features like global accessibility , better transaction confirmation times, cost effectiveness and superior storage efficiency than the varying math-based algorithmic digital currencies. With substantial support from industry, trade volume and liquidity, VL Coin asset is a proven medium of commerce complementary to other digital currencies. VL Coin is digital money used for assured, smoother and quick transfer of value to anyone anywhere round the globe, with no borders or limits. All in all, there is no financial institution, government, or any administration to command. We at Virtual Lakshmi believe in transparent fund management flow and are leveraging our blockchain technology to solve the issue of fund management in NGO/Foundation/Government organizations and/or others. We have already developed the technology which is scalable, secure, and inter-operational and once our ICO is over, we will start executing the same. 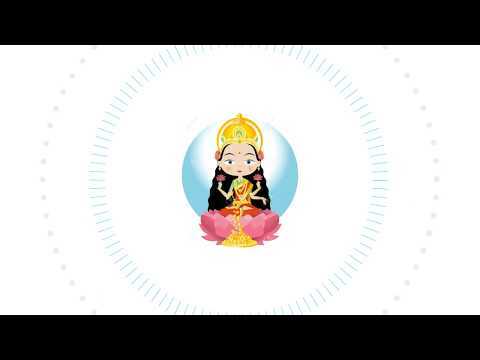 Virtual Lakshmi also aims at serving as a utility token for B2B market and e commerce arena where the funds will be managed transparently throughout the process. We request you all, who already have joined with us or planning to join us, to have patience and stand with us. We are committed to provide you the best. Join us now and get higher benefits before the ICO starts. ICO will be done in four phases with starting price of $0.16 per coin (VL Coin). ICO will launch by 15th Feb 2018 and stay till 15th April 2018. Team - failed KYC, I haven’t seen that happen before. This must be the reddest of red flags. Vision - wouldn’t even entertain it given the above. Product - not even worth considering. The process of innovating the concept, developing the process and bringing the process to reality. We have also started voting from users to have such kind of solutions for fund management in our foundation. Started legal process for Whitepaper. Public Announcement Marketing & PR Launching Token Crowdfunding Events. We are starting ICO that will be conducted in 4 phases. R&D center implementation for implementing the Blockchain based solution in foundations to handle fund management. Implementation of our Blockchain solution with atleast 5 foundations including Winzir foundation. Go globally for all the interested foundations.